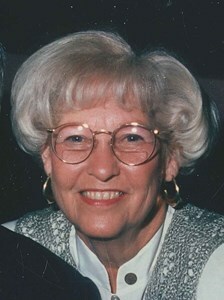 Norma J. Ray, 91, of Topeka, passed away Thursday, April 4, 2019. She was born May 23, 1927, in Richland , Kansas, the daughter of William and Myrtle (Zirkle) Moeller. She graduated from Berryton High School. Norma was employed by the Southwestern Bell for over 30 years. During retirement she was a member of the Southwestern Bell Pioneers and travel groups. She enjoyed camping and traveling abroad. Norma married William Ray on June 4, 1949 in Topeka, KS. Survivors include numerous nieces, nephews and cousins. She was preceded in death by her parents; husband and 10 brothers and sisters. A Funeral Ceremony will be 1:00 pm., Monday, April 8, 2019 at the Mount Hope Cemetery & Funeral Chapel, 4700 SW 17th St., Topeka. Interment will follow at Mount Hope Cemetery & Funeral Chapel, in Topeka. Memorial contributions may be made to Helping Hands Humane Society 5720 SW 21st Topeka, KS 66604-3720. To share a memory of Norma or leave a special condolence message for her family, please click the Share Memories button above. Add your memories to the guest book of Norma Ray. norma was my great aunt her brother was my grand pa Kenneth sorr sorry to hear of her tragic passing my condolences to all the family and her friends. God bless you all . I am so sorry I just found out that Norma passed. I would have been at her service . I truly loved Norma and I was at Casa Bellesa for 32 years and new Elonoer too . If you don’t mind I would love to pray a rosary for her, and all of you for your sorrow. Sorry I was unable to attend the service. I have many fond memories of Norma Jean growing up. May she rest in peace. Oh Norma, you will be missed! You were the best 'nosy neighbor lady' a kid could ask for. I will always remember you with a garden tool in hand, spending hours keeping your yard pretty (I am truly sorry for those couple of flowers I borrowed...). It was a full time job keeping those 'darned' kids off of your yard...and keeping the information flowing through the neighborhood. I will celebrate our birthday by planting some geraniums at my house....we will miss you Norma! Mrs. Norma Ray visited the bank I work at frequently. Whenever she would come in she would sit at my desk and we would chat for as long as we could. We had the same taste in jewelry and we would swoon over each others rings. She would share her life memories with me and she would always ask, "did he (my boyfriend) propose yet?!". We developed a friendship and I will miss her dearly. My thoughts and prayers are with her family at this difficult time.